It is said that Madrid only has two seasons: summer and winter. This is not strictly true but autumn and spring are very short. Winter really is very cold with temperatures going as low as freezing. However, a big ball of sun and blue skies helps! From March to June the temperature is rising and it is warm and pleasant although it can still be chilly in the evenings. June to August is hot, hot, hot with temperatures reaching as high at 40°. Apart from the occasional thunderstorm the weather is always good. Madrid has very little humidity so the air is dry which makes the hot weather much more bearable. So remember to pack clothes for each season! Bring a nice warm coat and scarf for those rainy, cold days and put inside your suitcase loads of shirts, shorts, dresses and flip flops to enjoy the warm temperatures and sunny skies as soon as they arrive. What to do in each season? Sports are not your thing? Then going to the cinema might be your perfect plan. What’s the only problem? In Madrid most cinemas show movies in Spanish, but we found a couple where movies are shown in their original version so that you have no excuse to miss Bradley Cooper’s latest film. Yelmo Cine, best known as Cine Ideal, is in Tirso de Molina (right in the center of the city!) and in Cines Verdi you can find more European movies, not just American. Check out their websites! If you are an adrenaline junkie, then you’ve got to visit Parque Warner and Parque de atracciones. These two amusement parks will be a heart-stopping experience, though if we are honest with you we’d save this plan for summer, fall or spring. Winter on a rollercoaster doesn’t sound like a lot of fun. How would you feel about going on a picnic and sitting next to Egyptian monuments? Or looking at the Royal Palace? You can do this and more in the parks that Madrid has to offer. Take a walk around Jardines de Sabatini o Parque del Retiro, learn about different plants in the Real Jardín Botánico, go for lunch to amazing restaurants in the middle of nature in Casa de Campo or learn some Spanish history by visiting Parque del Capricho. Each park has something unique to offer and you’ll definitely love them all! Another cool plan, no matter what season we are in, is to go shopping! Madrid has some amazing streets and shopping centers where you can get absolutely everything you want. Check out the following website and decide where you fancy going first! 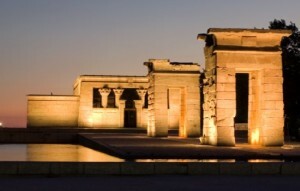 Then follow us on Facebook, Twitter and check out our blog to learn more about things to do in Madrid. I want to be objective, before starting this course I have, since graduating from my first degree I can think of 4 short intensive courses and 2 postgraduate courses lasting for a year that I have completed in the hope they would help me find work, but none had. This course was intensive, required dedication and hard work, but Natasha and Temura and all staff were supportive and approachable and worked hard to make sure we got through it if we were prepared to put the effort in. It was not a holiday but I was proud to have attained a good grade and within a week I had 3 job offers, one of which seemed favorable and I took it. It is 5 weeks later and I am still in Spain supporting myself and enjoying teaching. What’s more TtMadrid are still there for me, I am in the loop and I have a support network to go back to, for a place to go and sort things out as well as advice and assistance. In terms of having a job: 7th time lucky. I trust these people, what they told me before the course turned out to be true for me. I also made several friends at TtMadrid and it has an ongoing social network with the occasional party to go to even after you qualify. At a time like this with an economic crisis I consider myself lucky to have a job and to be independent right now.